The heavy air line is in charge of the filtration of air intake systems; it is used in the heavy transport sector such as tractors, buses and also in agricultural, industrial and mining machinery. There are two types of references: axial and radial, where we can find external, internal and main type filters. For example, heavy duty equipment such as tractors and double-throwers with dual air filtration use the internal filter first and is covered with the external or radial seal filter. 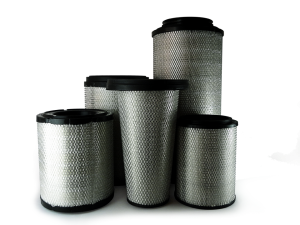 For medium vehicles such as NPR, NKR, JAC, among others, there is a simple air filtration and therefore they only use a filter called main.